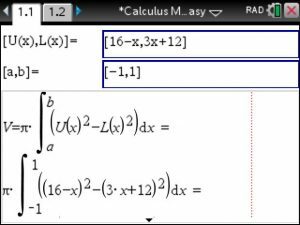 can easily be performed using TiNSpire’s Calculus Made Easy app as follows. 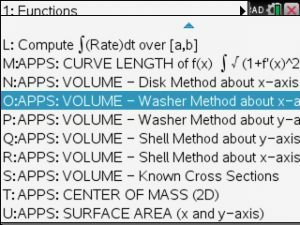 You can see the general washer method formula and how it is applied to you specific problem. 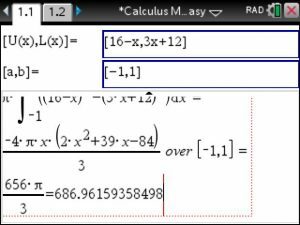 Additionally, you will see the antiderivative (if it is exists), the exact and finally the correct decimal answer. 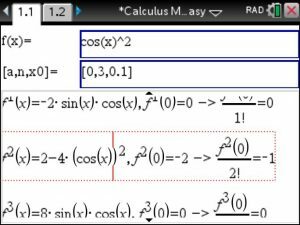 Best of all Calculus Made Easy can be used for 3 courses of Calculus: Calculus I, II and III, the latter being a typical Multivariable Calculus course which involves partial derivatives and multiple integrals. 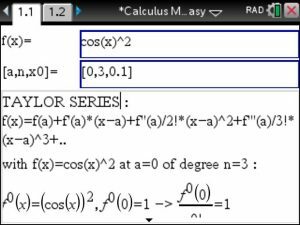 The derivatives are taken in order to compute the coefficients for each term up to degree 3. 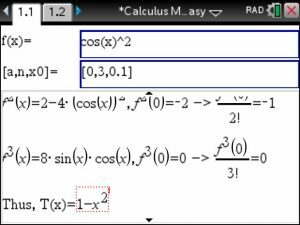 The final answer is of degree 2 as the coefficient for the 3rd degree term is 0.
Business Calculus contains the same modules as Calculus Made Easy and also contains stepwise solutions to Business Calculus topics such as maximum revenue/profit, marginal analysis, demand analysis, supply analysis, economic order quantity, price elasticity, consumer surplus, and more.